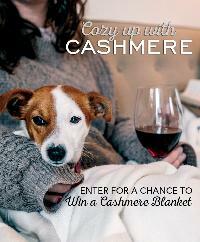 Prize: (1) Grand Prize Winner will receive one premium cashmere blanket. ARV of Grand Prize is $500. (8) First Prize Winners will each receive one cashmere scarf. ARV of First Prize is $100.